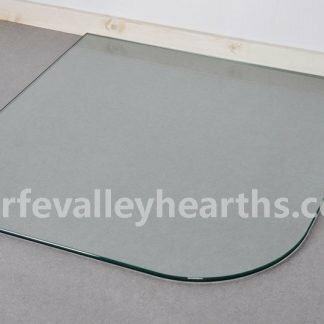 Inset Stove Glass Hearth (Curved Corners) is from the Glass Hearth Range. 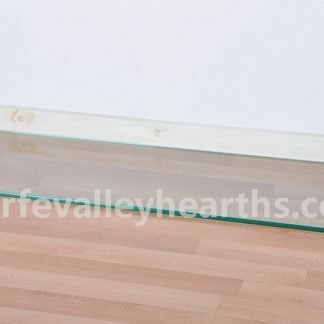 The inset stove glass hearth is perfect for rooms where your stove has been fitted against the wall. The sleek glass plate takes up minimal space while protecting your combustible floor from spills from your contemporary stove. 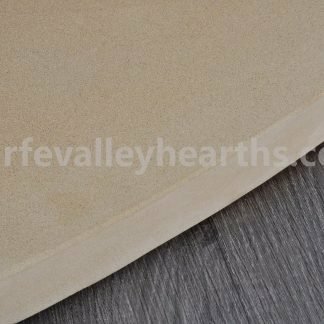 This simple rectangular shape with soft curves on the front corners adds a touch of style and will perfectly compliment your designer stove. The hearth measures 1000mm x 300mm and is made from 12mm toughened glass like all our Glass Hearths. 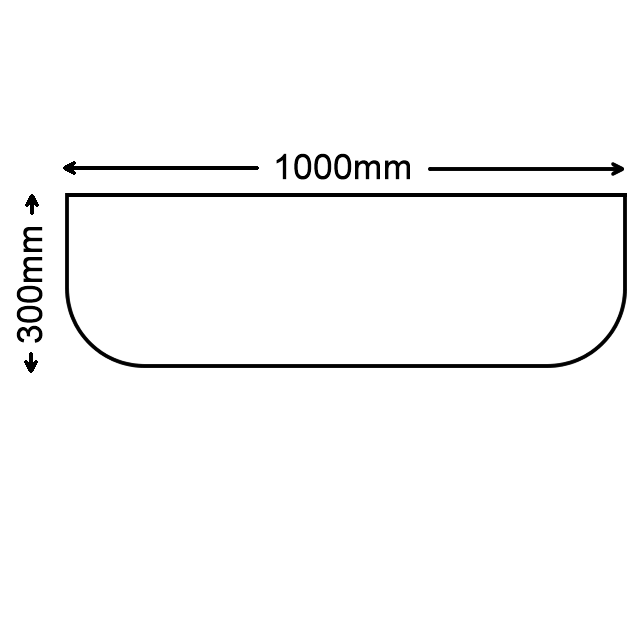 It is available in clear, smoked and black options. 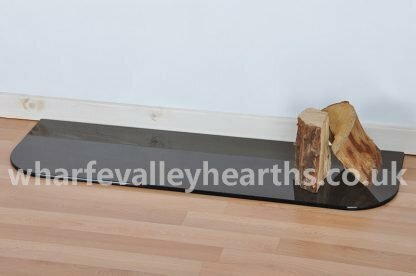 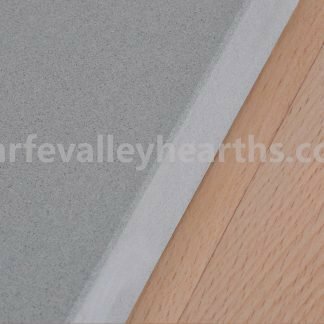 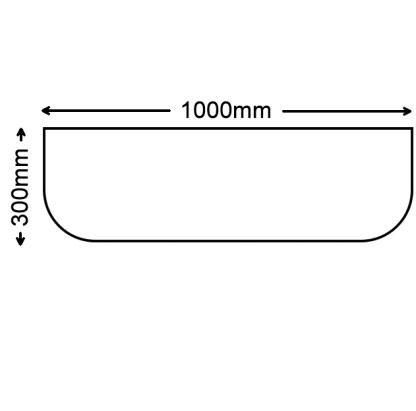 If you need a custom size (up to 1000 mm x 1150mm), we are happy to cut a hearth to your requirements in clear and painted options. 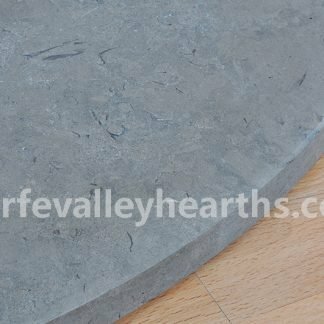 Bespoke services have a lead time of up to 3 weeks. UK’s Building Regulations have laid out strict guidelines for solid fuel stoves. 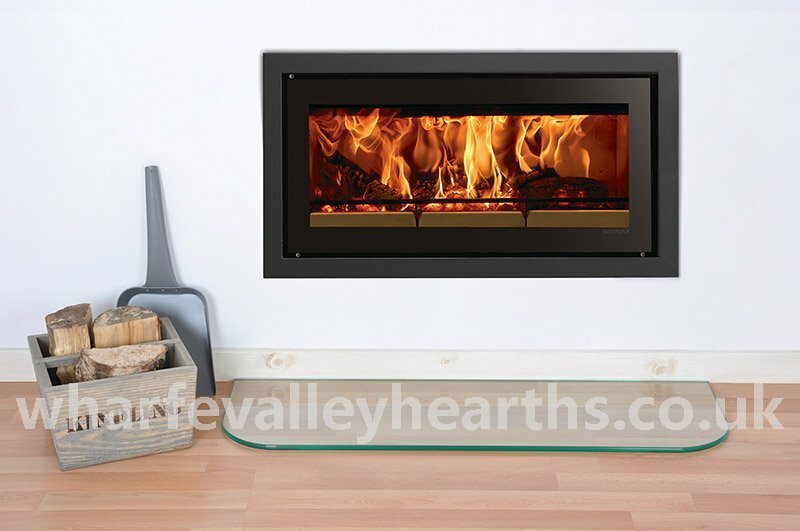 Most wood burning stoves require a full 5″ hearth given the high levels of heat. 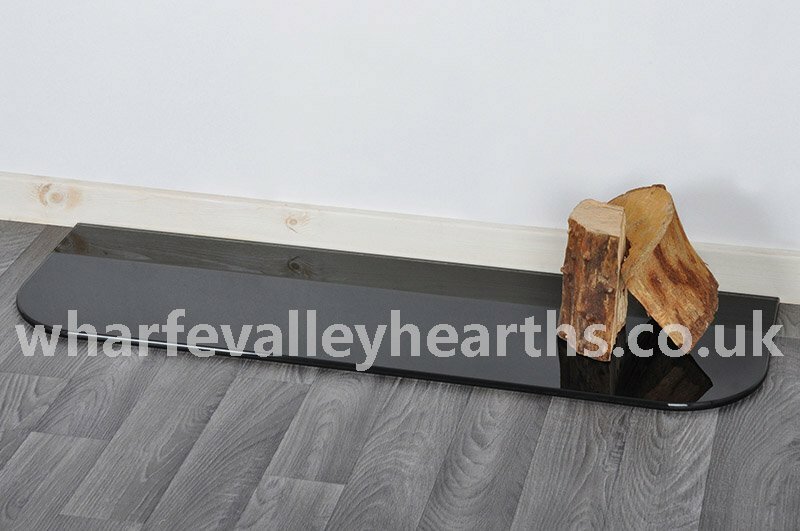 However, if your woodburner produces less than 100°C heat, the 12mm glass hearth is perfect and meets regulations. 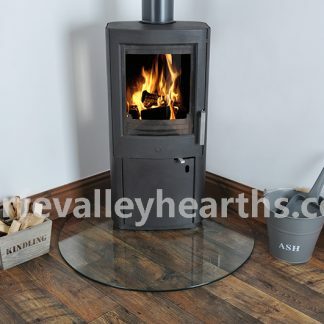 Keep yourself safe with a high quality inset stove glass hearths from Wharfe Valley Hearths. 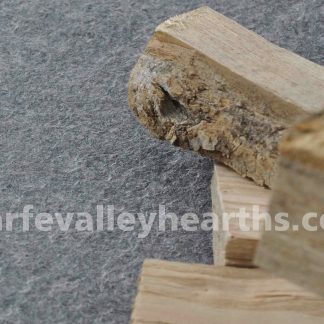 Choose from our ready stock or request a bespoke hearth today.